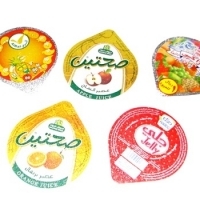 Send a buying inquiry to Easy Peel Die Cut Lidding, from Indevco Sal, Lebanon. Product Id 780291. To cover your containers, request Easy-Peel Die-Cut Lidding from our manufacturing plant Pre-cut easy-peel aluminum lids are used for portioned beverages, such as water cup and juice cups. Our lids: Are available for PS, PVC, PP, PET & other containers Come in three shapes: round, square and rectangular Can be printed in up to 8 colors We also manufacture Easy Peel Lidding in Rolls and Labels for bottles.